The Rick Hinderer Modular Kubaton Deluxe Set in Copper is the complete package. 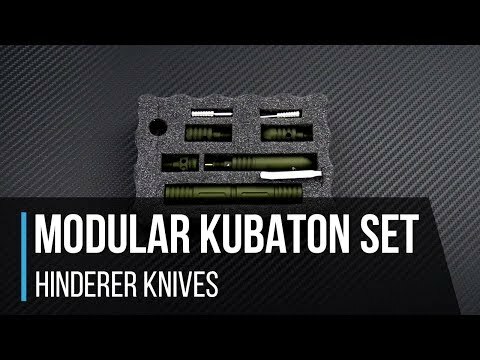 Everything you need to construct your pen or kubaton with custom cut foam organizer. The raw Copper components will naturally develop a unique patina through time and use. Brand new direct from Rick Hinderer Knives.